Pituitary adenomas are common tumors that originate from the base of the skull. These tumors can secrete hormones and cause the condition of acromegaly from excessive growth hormone or Cushing’s syndrome in the case of excessive cortisol secretion. In addition, the tumors may cause symptoms related to excessive prolactin production. Tumors that do not secrete hormone may grow to the point of causing compression of the optic nerve and cause visual loss. The current state of the art in the management of pituitary adenomas include hormone therapies, microsurgical resection, and radiosurgery with the CyberKnife or the Gamma Knife system. Furthermore, some pituitary adenomas do not grow in a patient’s lifetime and simply require observation with serial MRI imaging. Dr. Ghosh has considerable training and expertise in every facet of the management of pituitary adenomas. He is certified and trained to perform both CyberKnife radiosurgery and Gamma Knife radiosurgery when each is necessary. 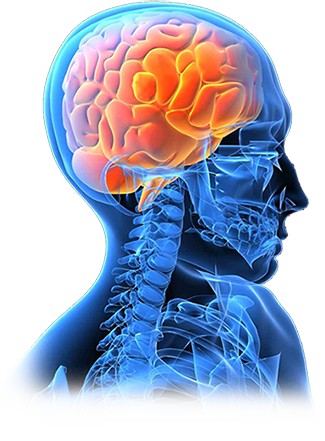 Furthermore, he has training and expertise in all of the different approaches to surgical management of a pituitary adenoma including endoscope endonasal approach, sublabial microscopic approach, and transcranial approach. Because of his breadth of skill and expertise in the management of pituitary adenomas, Dr. Ghosh can tailor the treatment to the individual needs of the patient because he has at his disposal every weapon in the arsenal in the treatment of pituitary adenomas.